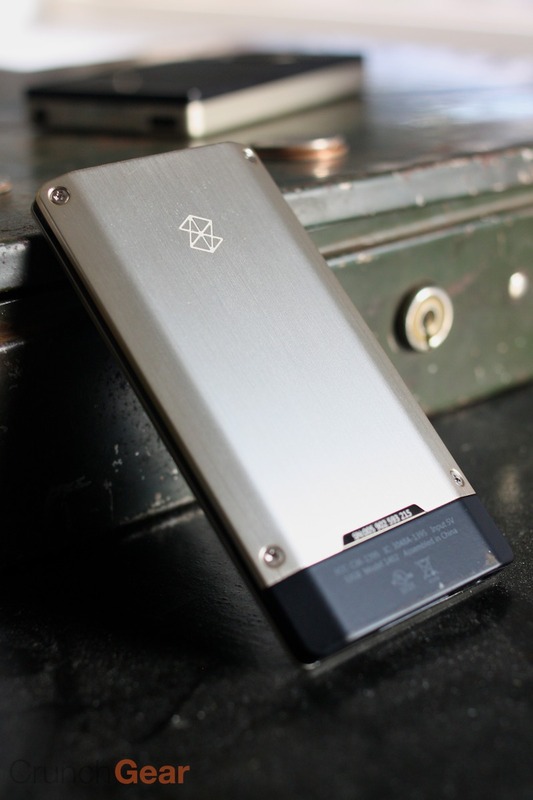 It’s been a long, brown trip for the Zune: from its early days (mocked and abject) to its awkward years (deemed a dead end and money pit) it’s been embattled and criticized, and rightly so. After all, here was an unpopular company with a frankly ridiculous brand it had pulled out of thin air, attempting to compete with the guys who defined the market. We’ve always been champions of the devices, despite their quirks, and of the service, despite its growing pains — and Microsoft occasionally made it pretty hard for us to stand by our favorite little misfit media player. Well, for once they just made it really easy. 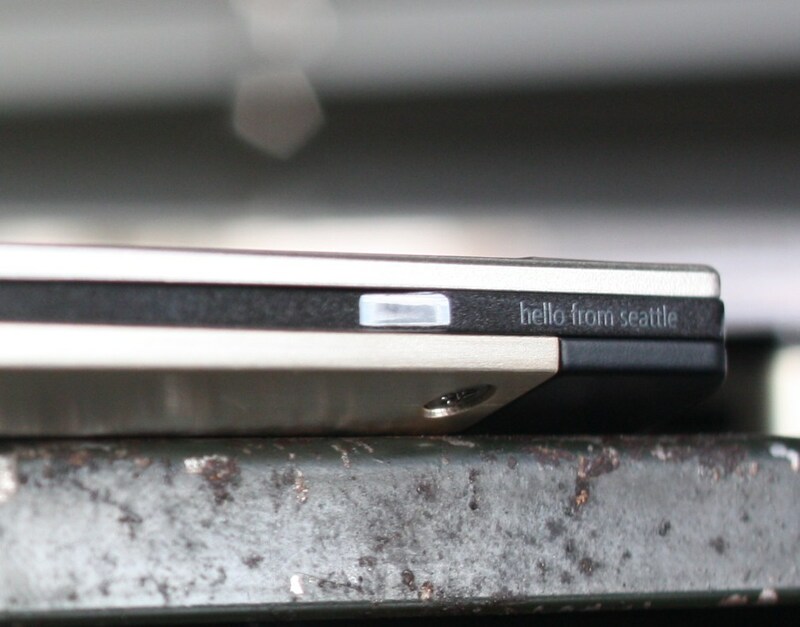 Let’s not beat around the bush, now: this thing is going head-on with the iPod touch, one of the most versatile and well-liked devices on the planet. There are other PMPs, sure, but the caliber of these two devices is well beyond the best offerings from Creative, Samsung, or Sony. To make it easy on the Apple fans who are impatient to comment on this story, let me just state it right now for the record: the Zune HD is not an iPod-killer, but it’s the only player out there that can go up against it and not be annihilated in the process. It’s good enough that everyone owes it to themselves to give it a look — unless you’re afraid of just how good it might be. Now let’s take a look at this thing. This will be a long review, but at least we aren’t splitting it into multiple pages like half those other sites. 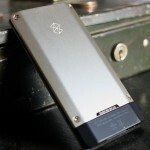 I’d say that at this moment, the Zune HD is the best-looking media player on the market. 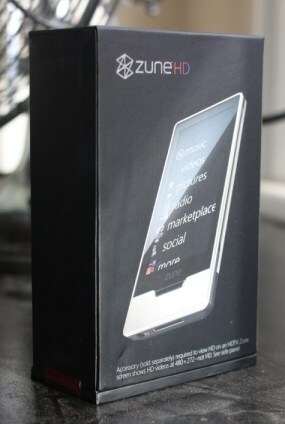 It beats the iPod touch handily in terms of sheer sexiness, and it appears to hold its own in build quality and materials. Give me a break. They’ve outdone themselves. 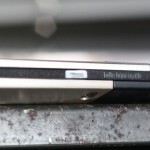 The slimmer profile means it feels tiny in your hand, and although it’s not much flatter than an iPod or other comparable players, it’s far lighter, at only 2.6 ounces. You wouldn’t think a difference of an ounce and a half would be that noticeable, but it really is. It goes into any pocket like a champ. Yet it’s extremely solidly constructed; the metal build gives it a solid and sturdy feel, unlike many players and phones (even with metal bits) which seem to just have a shell around them. Torquing it didn’t seem to bother it at all, and a few light bangs on the table (hey, if I didn’t, you would have) suggested I could use it to hammer nails. The buttons are integrated well with the outer layer, and there are hardly any gaps. I have yet to use it for more than a few days, but it doesn’t feel like anything will be getting loose for quite a while, and the cracks in between the screen and lower section are minuscule and do not seem likely to admit any crumbs or dust of significance. The one hardware-based complaint I have is the charging cable. 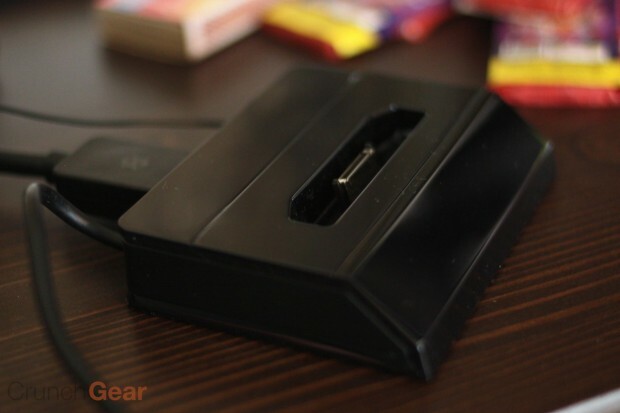 The original Zunes had locking plugs, with tiny levers on the side that you squeezed to release the lock. The new one goes in and you have to pull quite hard to get it out; I’m sure the plug is rated for a million of these actions, but it still feels like you’re getting rough with it. Battery life has been excellent for me: the OLED+SSD combo is rated for 33 hours of music and 8 of video, which after a fair amount of use I can easily believe. Mixed use plus wireless stuff will probably put your average battery life at 13-15 hours by my guess. It’s a squirrelly statistic to nail down, so we’ll keep an eye on customer reviews. The colors are vibrant and motion shows no trace of blur, lag, or ghosting. I didn’t experience what people seemed to preemptively criticize the device for, namely a screen that’s not bright enough. The backlit displays of iPods are certainly brighter, but firstly they’re not so much brighter that they’re usable in broad daylight, only in other marginal circumstances, and secondly the improved contrast of the OLED screen makes up for the lower brightness. The touchscreen is very good. I would rate it second in class after the touch and iPhone’s, but it doesn’t lose by much. It’s responsive and precise — and that’s all she wrote. Like every other glossy little device, the screen does get smudged easily, but it was easily cleaned by a microfiber cloth. The brushed metal back and bottom part of the front show no fingerprints at all. The sound is high quality, like the old Zunes, with the added bonus of an equalizer. There are no custom settings, but the usual suspects are there for you to choose from on the fly. The default setting sounds just fine, though. People will argue back and forth about the sound quality of different devices, but honestly there’s almost always going to be more quality variation in the encoding and your headphones than in the device. Do yourself a favor and stay away from the included earbuds. The interface in motion says more than I can in words (or at least, it says it more succinctly), but I’ll summarize. It’s gorgeous, and once you get the hang of the few things that aren’t immediately obvious (what does that icon mean, how come there’s no back button on this screen and so on), it really is very intuitive. The iPod touch interface is still functional, but it lacks the style of this one, and the media-specific additions like the quick launch section of the main screen. There’s nothing worse than having to drill down through layers of interface to get to something, and while the Zune UI makes drilling down as painless (and pretty) as possible, it also lets you skip it via the Pins and recent items on the main screen. Zune’s UI is designed to do two things: first, to direct you as quickly as possible to the content you’re looking for, and then to envelop you in it. Album art or a sort of screen saver monopolize the screen space, which is an unfamiliar thing to me; I don’t tend to look at my MP3 player while I’m listening to it, though I certainly have a good reason to now. I neglected to include the excellent ability to display the artist’s bio, pictures from shows and such, and related artists, to which you can jump directly if you feel like it. Unfortunately, this leads to some sacrifices in the now-playing screen. The old Zunes had controls always at the ready thanks to their little Zune Pad (RIP), and since that’s obviously no longer an option, I’m surprised that the Zune doesn’t have pause and volume controls at the ready. Having to tap the screen before doing that isn’t exactly a lot of work, but when the most frequently used controls are hidden and more esoteric ones (send to a friend, add to playlist) shown prominently, it can rankle one. I found the keyboard to be pretty damn good for a first try; typing in “crunchgear” in the video up there was the first time I used it, and I didn’t have a single typo. The narrowness of the display makes for difficult two-fingered typing, but as yet there isn’t much of a need for writing more than a web address or artist name. That will probably change but I think the keyboard is up to the task. The ability to browse the marketplace on the device is fantastic, and they’ve really made it easy to do. You can see it in action towards the end of the video above, so I won’t go into too much detail here. Basically, on the device, the Marketplace is simplified but you still have access to all its music, and searching was fast and accurate. Previewing music was instant, as was buying (none of the delay I have with the Windows client), and the download was fast (about three or four minutes to get a 50-minute album). If you have a Zune pass you can listen to your heart’s delight. Critics are rightly pointing out that there are hardly any apps available (and those that are there are basic and slow to load), which is indeed a disappointment. There will be more available in time; after all, they’re not just launching a player but a new platform. Still, while it explains the lack of apps, it doesn’t make everything all right. The iPod touch absolutely kills the Zune in this respect, but in a few months you’ll have a lot of serious apps available that will close that gap somewhat: Facebook, YouTube, and so on. Don’t get me start on the “showing ads before games” thing. That’s garbage and with luck Microsoft will realize it and pull the plug. 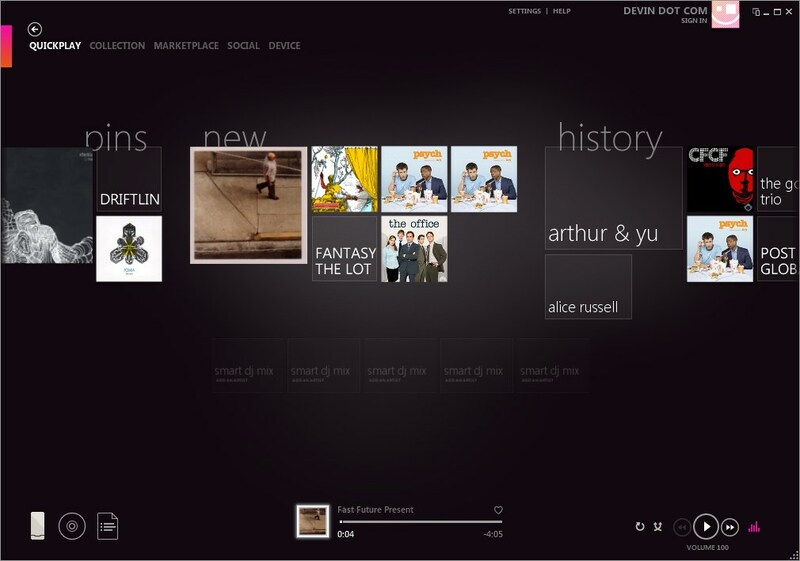 I’ve never really liked fancy media clients, but I do prefer Zune’s over iTunes. I think one of their taglines is “browse your music, not a spreadsheet,” or something, which is applicable if you don’t want to use the clumsy album art views in iTunes or the impractical but pretty Coverflow. 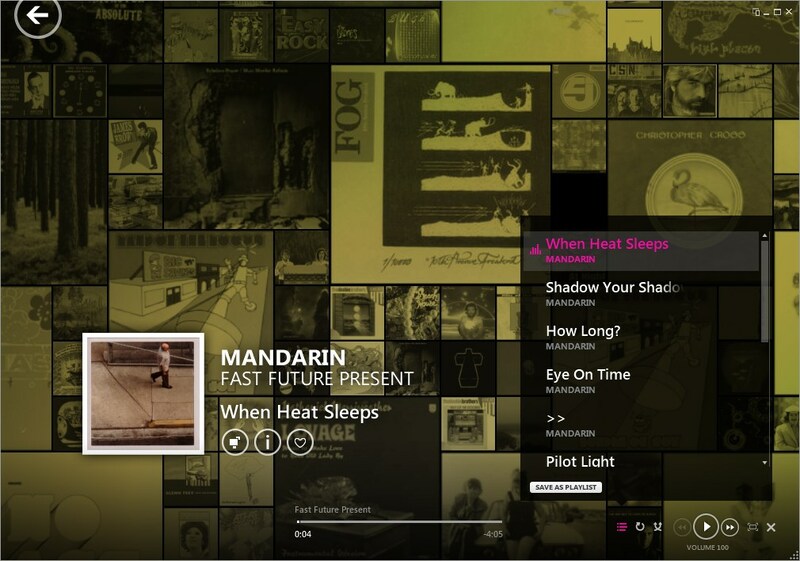 Zune does give you more of your music front and center, especially in quickplay mode. The main part of the client hasn’t changed noticeably since version 3, but they have added an entire new way to browse your music. The quickplay view (as opposed to the collection view) has the bio and pictures of whatever artist you’re listening to displayed attractively, with an ever-changing array of albums behind it. Nice for parties or HTPCs, or just as a break from the busy collection view with all its type. The Marketplace is as it was, for the most part, and until they get more content in the movies and HDTV sections it’s hard to pass judgment. The iTunes store is better-integrated with iTunes than the Marketplace is with Zune, in my opinion, and honestly looking for music on the device was faster and more pleasant than the desktop client. The new “Smart DJ” playlist is exactly what it sounds like, basically a Genius clone. Difference here is you start it by just feeding it a track, which it analyzes for genre data, related artists and so on. I’ve never liked these things, but the Smart DJ has one up on Genius in that if you have a Zune Pass it’ll bring in a ton of tracks from the store to augment your own collection. Then of course, you can choose to keep them. If you don’t have a pass, it’ll display the tracks it’s selected but skip them, though you’ll have the option to buy them. It’s sad as hell that there isn’t an OS X client, but maybe Microsoft figures that Mac users still aren’t a big market, since Apple herds them so effectively into the iTunes ecosystem. Still, I know plenty of people (and commenters) whose only objection to the Zune is the lack of a client for their favored OS. Keep requesting it, and hopefully the port fairy will leave a native client under your pillow. Works fine. HD radio stations are easy to navigate and favorite, and they sound great. You can pause and resume, buy tracks directly if the information is in the broadcast, or just… listen to the radio. I like it a lot. It’s a pain that you have to use a dock all the time, though. I was looking forward to just carrying a cable and being able to blast out an HDMI signal from the device itself. Maybe they’ll come up with something that addresses this. To be honest, though it works great, I’d hold off on buying the dock for a bit to see if something more portable comes out. In the meantime, the video looks fantastic; no sign of stutter or lag. I had some issues getting some videos to play, and the formats the device supports are pretty limited — no more so than other players, but it’s still annoying. It’s nearly impossible to recommend something without any reservations, but I think I can get by with only one: if you don’t want to buy Apple, buy Zune. The iPod touch still stands as the one device to rule them all, but it’s saddled with an increasingly punishing Apple architecture, something which the Zune is refreshingly free from. 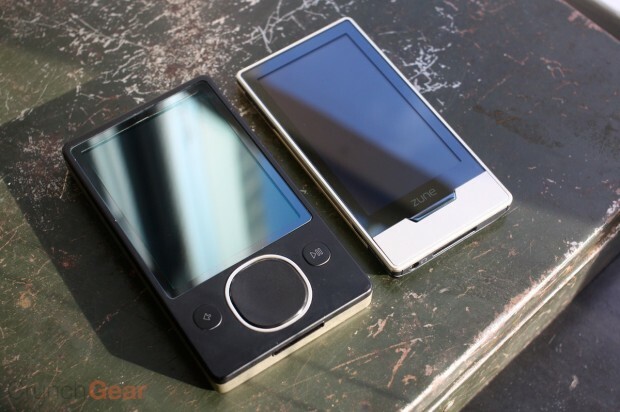 At the $220 point, the 16GB Zune HD undercuts Apple significantly, and at $290 is competitive. The Zune Pass sweetens the deal; subscription music still sounds weird to me, but like Pringles, once you start, you can’t stop. It’s a beautiful, intuitive, fun-to-use PMP, and while it will soon have some extra capabilities in the form of nice apps and games (hopefully without ads, for the love of god), the Zune’s primary purpose is and has always been delivering (and expanding) your collection with style and gusto. Seriously, people — this is a fantastic media player. Don’t take my word for it, though. Go to your local electronics store and see for yourself how good the screen is, how intuitive the interface is, and how right it feels in your pocket — you may not want to put it back when you’re done. 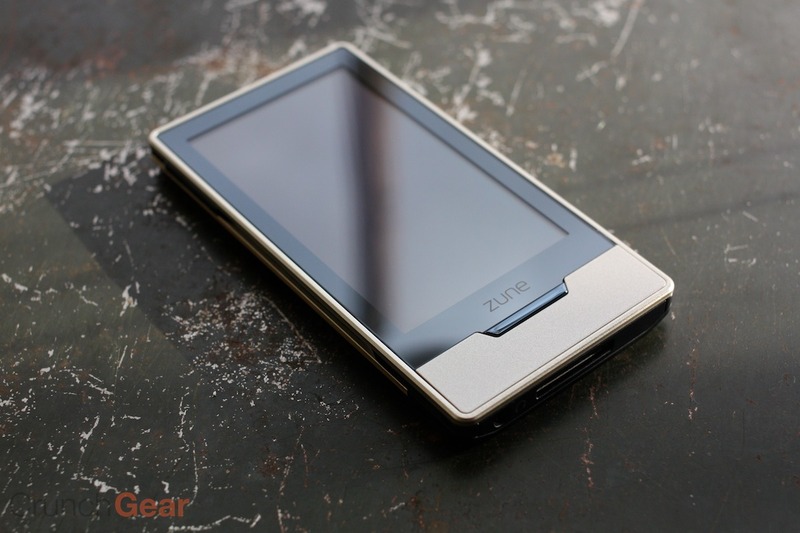 The bottom line is that the Zune HD is just as good as everyone wanted it to be, and way better than some people would have liked it to be.